« What’s happening to Turai’s £40m International Cancer Centre? In the midst of the frenzies of the forthcoming elections, it is imperative to warn Nigerians that our votes can either make the difference between a suicide attempt or a decision to live life “more abundantly”. 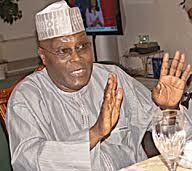 Nigerians added another term-“Toxic Politicians” to their political lexicon recently. Thanks to the Economic and Financial Crimes Commission(EFCC), who decided to dare and “ look Medusa in the face” and release what they call “list of corrupt politicians” that must be barred from contesting the 2011 election. I was particularly impressed at the metamorphosis the list has undergone, especially since the media began analyzing its legal, political and moral implication. For me, the name “Toxic Politicians” will forever remain apt until perhaps, our political system stops producing and throwing up individuals with toxic tendencies. Toxic according to the Encarta Dictionary, has to do with something poisonous: “something relating to or containing a poison or toxin ;deadly: causing serious harm or death”. Does this describe some of our politicians? The answer as always, is blowing in the wind! And so, for any right thinking people, there is the need to start looking at our politicians from a different perspective especially when you realize that your vote can actually be a suicide attempt or a decision to live a good life depending on who you chose to vote into office. Let’s try and paint the picture better so we can start making up our minds where we want to be in the next four years, courtesy of our votes. Nigeria got hit by cholera this year. While the affected states were wondering what hit them, the disease had claimed over 1500 people out of the 38,000 cases recorded. It took the efforts of the United Nations for us to know this. In many developing countries, cholera remains a disease only discussed in the classrooms of medical schools. But the giant of Africa is battling with it and with casualty figures that compares only with that of countries like Haiti. Perhaps Haiti would not have appeared on the cholera fact sheet if not for the devastating earthquake it suffered earlier this year. So, how do we explain the cholera embarrassment in one of the world’s largest oil producing nation? 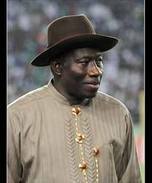 Jonathan:can his Goodluck save Nigerians from these needless yet endless deaths? 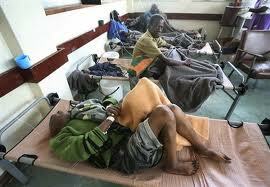 Lets remind ourselves that cholera is not a natural disaster. It is not like the Tsunami or Hurricane Katrina that nature unleashed on the world within the last six years. If my knowledge of integrated science serves me well, cholera is an acute and often fatal intestinal disease that produces severe gastrointestinal symptoms and is usually caused by the bacterium Vibrio cholerae. We were taught that virtually the only means by which a person can be infected by cholera is from food or water contaminated by bacteria from the stools of cholera patients. Prevention of the disease is therefore a matter of sanitation. So, we can safely say that cholera occurs where there are poor access to safe water and basic facility…and do not forget that we are living in the world’s largest oil producing nation. I love to think along health lines. Somehow, I chose to see things from the health point of view-i.e. the health implications of several actions and pronouncements. So, one can easily decode how I interpret some of the hollow and pedestrian political jingles currently running on our radio and TV. 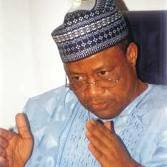 Each time I see the jingles of Atiku, Gusau, Jonathan and IBB, the questions that keep running in my head are obvious: “What did you guys do about these common diseases currently whipping out Nigerians especially in your part of the country? How do you ensure I don’t die of preventable diseases when I vote you in for the next four years? How would a vote for you ensure that I don’t die before my 46th birthday “celebration”? With cholera harassing Nigerians and claiming the lives of children and women in their thousands lately, Im afraid that we may just be giving a nincompoop the mandate to wipe us out for another four years. The children, men and women who died of cholera in all the affected states in the north did not know they would die this year, let alone of a preventable albeit curable disease like cholera. For the dead children, would it be fair to say that their parents voted in a governor; men and women who gave them bread and bags of rice in exchange for their votes only to turn out to be the ones who caused their death? How do we tell the ghosts of these children(whenever they starts haunting us) that their parents voted men who lacked basic understanding of what to do about taking care of their people. So, how do we avoid these anomalies? How do we guard against the grim picture that our health sector connotes? I really don’t want us to reproduce that frightening albeit gory images that have come to represent the Nigerian health sector. We can write an endless volume trying to do that. But let me illustrate that if you are a Nigerian, living in Nigeria, you are expected to die at the age of 46 or 47.And just in case you are way past that age, you are doing extra time or simply spending “dying minutes.” It sounds distasteful, no doubt! But that’s the truth. This is no doubt a recipe for continued drop in our life expectancy as any system so described can only create a big market for casket makers and undertakers. So, how do we ensure that we use our votes to prolong our lives and live healthy lives? How do we ensure that we don’t vote for men and women who often escape sneak out of the country with our money to extract a tooth or change their glasses while leaving us at the mercy of business centers masquerading as private hospitals or abattoirs presented as government hospitals? How can we end the feeling of knowing that sometimes you can die of a disease not necessary because the disease is terminal but because it infected you; a Nigerian living and trapped in Nigeria and there is no capacity or resources to treat the disease? In May 2009,I woke up to a shocking reality and I’ve not recovered from its impact. It is an issue I know so well, but it has never been so graphically presented the way Paul Thorn did . I was at a satellite meeting organized by the Lilly MDR TB Partnership at the 62nd World Health Assembly in Geneva, Switzerland. The meeting was organized to provide a platform to share experiences among countries battling with Multi-Drug Resistance TB(MDR-TB) and those who have not only conquered TB but have also contained MDR-TB. Paul Thorn, a Briton living with HIV, who also describes himself as a MDR-TB survivor (having been successfully treated of multi-drug resistance TB he contracted while on admission)was one of the speakers at the session. “I’m alive today because there is cure for MDR-TB”, he said. “But most importantly, I’m alive because of where I was born; because I’m Briton. The British government have made provisions to ensure that no one dies of TB or MDR-TB. But many people in poor countries infected with MDR-TB will die not because they have MDR-TB which is a treatable disease but because they have governments that cannot show leadership in tackling critical public health challenges”. That statement got me thinking seriously about my nationality and the need to get involved in health debates in Nigeria by advocating for a health system that works with the hope of increasing the life expectancy of Nigerians. No doubt, Paul Thorn would have died if he were in Nigeria. Those who should know won’t debate the fact that we don’t have what it takes to correctly diagnose MDR-TB let alone treat it. Need I say God help you if you get infected with MDR-TB here. But the focus of this discuss is not TB or MDR-TB. It is about using our votes wisely in the next election to ensure we live healthier, longer lives and ensure that our health system works. For this to happen we need to ask intelligent questions and demand intelligent answers. Armed with these questions we need to start engaging those aspiring for political offices…those whose posters are now creating eyesores in several towns and cities; those whose boring radio and TV jingles are offering wish lists for which they cannot articulate how they intend to achieve the promises on the wish list. Some have carefully stayed away from selling a health agenda. We need to be sure of what they want to accomplish within the health sector. We can’t overstate that health wise, there are no sustainable plans for today’s children let alone those of tomorrow. The aspirants are coming at us lamenting what mess we’ve found ourselves in, but with no alternative visions, no ideologies and no programmes that offer the voters clear choices about their future. No political party in Nigeria can boast of a clear road map to improve the health of Nigerians except the fact that most of them have successfully branded themselves as the ultimate platform to grab power. A situation where someone is running for public office and does not have an idea of what to do about the health sector is suicidal. A president, governor, law maker or local government chairman who is not bothered of health bill or cannot read the National Strategic Health Development Plan Framework(NSHDPF) for instance is a disaster about to happen and we must nip that with our votes.